Influencer Marketing is going great guns right now. If your organization isn’t already participating in this important strategy, it’s time to make an investment. Influencer marketing creates authentic interaction among people who have the same interests and are part of the same community. And it produces measurable results. Once influencers are found, either through trending technology or by studying feeds, branded content is created and quantitative results can be tracked. Check out these informative Influencer Marketing statistics from Social Media Today. So who are they, and where are they? When you’re implementing your campaign, the critical first step is to decide which type of influencer you want to engage. Influencers come in many shapes and sizes; they can be bloggers with a huge number of followers on multiple platforms, or Instagram photographers with a large, highly engaged audience. With that said, the trick for marketing managers is to find the right social media influencers for their brand and to build a long-term relationship with them. I’ve always found a good place to start looking for a social media influencer is to simply perform a Google search for the type of creators I want. You’ll discover people who have dedicated and relevant followers who you’ll want to convert into customers. Use the first two pages of search rankings and study how these bloggers and content creators are building engagement with their followers. Which platforms do they know and love—Instagram, Facebook, Twitter, Vine, Snapchat, or YouTube—and what are they posting to build an audience? Tip: Another option for identifying influencers is to leverage a platform like Little Bird or a marketplace like Tap Influence. However, these platforms can be pricey. Once you determine your targets, start following prospective influencers who you believe can support and promote your brand. Study the content sections of their feeds and consider how they’re responding across multiple platforms to followers’ comments. For example, the last thing you need is to work with an influencer who is short-fused and is easily baited into heated exchanges with followers, or has a history of lashing out at products or services at a moment’s notice. Tip: Social media metric tools that rank online influencers should be taken with a grain of salt. Just because someone has a high score does not necessarily make them somebody you want to forge a business relationship with and promote your brand long-term. Identify what you want to achieve and how you’ll measure success—which should include quantitative results. Tip: Avoid focusing on quasi-quantitative goals such as “increasing followers.” Your measurement goals should revolve around increased sales or other key marketing metrics. I’ve always found the direct approach works best to join forces with an influencer, sending an introduction email letting them know I’ve been following their feeds, asking how they prefer to work with brands when creating content. In one way or another, all will want to fit the product into their own lifestyle to make the campaign more authentic and appealing to their audiences. One of the influncers my firm works with frequently is Cindy Orley of Akron Ohio Moms. 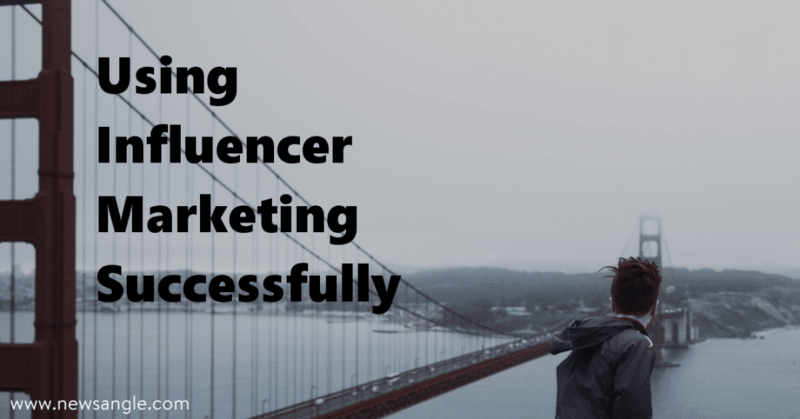 She urges marketers to do their homework and be truthful in their influencer outreach. Tip: Although there might not be a signed letter of engagement with the influencer, expectations still need to be outlined in advance, such as how many tweets, videos, images or articles will be posted during the campaign, and which hashtags will be used. Clearly outline the goals of the campaign. Create a content calendar to track the posts of your multiple influencers and to make sure deadlines are met and key points in the campaign timeline are communicated. Always know how to reach your influencers quickly, staying in touch with them throughout the campaign. I have found influencers are eager to hear feedback from their partners to ensure their storytelling is hitting the mark for the brand. Protect your long-term relationship with your influencers. In most situations, you’ll want to work with them again on another campaign. Treating them as easy-to-replace casual labor will waste all your hard work finding them and educating them about your brand. If they feel unappreciated, they many stop working with you. Finally, cross-promote the authentic content that is being created on other social media channels, increasing brand awareness and converting relevant followers to paying customers.